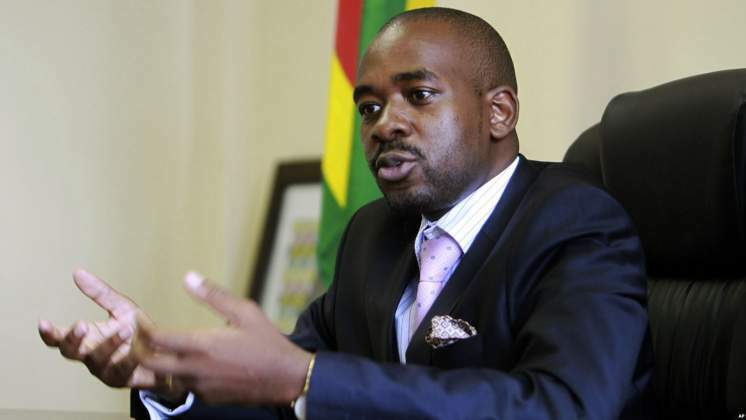 MDC leader Nelson Chamisa has cancelled the Thank You Rally that was supposed to be held in Bulawayo over the weekend. In a statement on Thursday National Organising Secretary Amos chibaya said, "Kindly be advised that the President has advised that we postpone both the Bulawayo Provincial Assembly and Thank You Rally. "In his wisdom, the President saw it fit that we concentrate on mourning our relatives in Manicaland who were affected by Cyclone Idai." Chibaya said a later date will be advised on when to have these two party programs. ZANU PF supports on social media had accused MDC and Chamisa of holding the Bulawayo rally when the nation was mourning the victims of Cyclone Idai. On Monday Chamisa was in Manicaland where he assessed the damaged caused by the cyclone and also donated some goodies to the victims. Cyclone Idai has killed close to 2000 people in Mozambique, Malawi and Zimbabwe. United Nations has classified the cyclone as the worst climate-related disaster in Southern Africa.